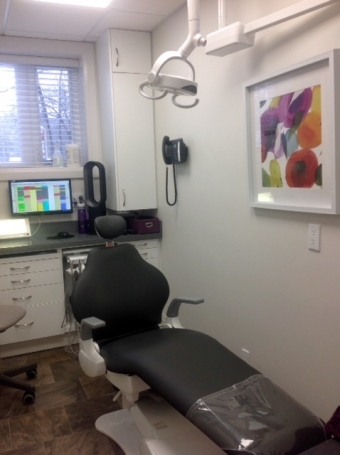 The best dental experiences happen in a comfortable environment. The renovation of all five of our Lorne Park Dental Associate's treatment rooms is done...and we're thrilled with the results! We think you will be too! Fresh and modern. Warm colours. Pleasant art. New cabinetry. Modern equipment. Comfortable chairs. Ceiling mounted televisions. Soothing music. Temperature control. Cozy blankets. Digital x-rays. Intra-oral cameras. Computers. Great people! Do you think we saved the best for last? At Lorne Park Dental , our goal is to make you smile. For great dentistry, in a caring and comfortable environment, we look forward to seeing you soon in one of our beautifully renovated treatment rooms!